… a feel of high altitude, in which this trio seems right at home. … [Yanda] flaunts melodic imagination and a brisk feel for swing. hip grooves… and mystical intricacies. …Home Road takes the jazz-based and modern guitar instrumental genre into deep yet calm sonic waters. Join us in The Attic of The State Theatre as we continue our Jazz in the Attic series this Fall with Guitarist/composer Jim Yanda and his band Regional Cookin’. For information and tickets visit the State Theatre site. mwe3: Can you tell us where you’re from originally and where you live now and what you like best about it? Can you compare growing up and studying music in Iowa with moving to the tri-state area? Seems like you’ve been in the NY/NJ area for over 25 years now. Does the city still have the same magic and lure it did in the early 1980s and what area do you like best in the NYC area? Jim Yanda: I was raised in the small Midwestern farming community of Anamosa, Iowa. It is incidentally, the home town of the famous regionalist painter Grant Wood. I came to New York after college, lived in Brooklyn for some years, then moved to New Jersey, where life is a little more relaxed but still close to New York. It’s wonderful that nearly any sizable town now has some kind of jazz scene, if only a handful of players, and so it was in Iowa back in the 1970’s and 80’s. Jazz was clustered around the college towns, Iowa City (U of I), Cedar Rapids (Coe), Cedar Falls (UNI), and Des Moines (state capital). The better musicians were teaching at the colleges, as university jazz programs had begun to flourish. There were a few gigs, and you sometimes had to travel a good way to hear someone great who was passing through. We used to car pool to a club in Ames where I heard Jim Hall and John Scofield. It was an incalculable measure of good fortune that the great trumpeter and teacher Paul Smoker was on the faculty at Coe College where I somehow got accepted into the music program. He changed my life completely and I became thoroughly immersed in music because of him. New York seemed almost like a different country to me. It is so hip and vibrant, with abundant art and culture, and so many of the great players are drawn there. There’s so much fine music happening daily, it is a paradise for a jazz lover. There were a lot of musicians in my Brooklyn neighborhood and we were always having jam sessions. I would go to the clubs and hear the greats and meet them and try to get lessons from them. It was a fantastic experience and remains so today. I’m still learning. mwe3: You started up your company Corner Store Jazz way back in the 1980s in Brooklyn. Tell us about your idea behind starting Corner Store Jazz and how does the label / web site operate these days? Are you happy with the way the internet has changed music, both information wise and sales wise and what do you feel could be done to improve sales of CDs online and how about the impact of music streaming, mp3 and downloads and now the resurgence of vinyl? Jim Yanda: Our record label, Corner Store Jazz, got its name from the Brooklyn rehearsal studio/apartment I shared with drummer Phil Haynes in the 1980’s and 90’s. It was literally a corner store prior to our renting and converting it to an apartment with a performance space. We added “Corner Store” to our address so the postman would know where to deliver our mail. Phil and I started CSJ as a way to get our music out on our terms without having to relinquish musical control or rights to our recordings. We record, produce, press, distribute, and stream our music. 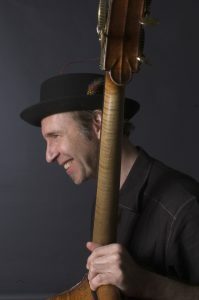 The main portal is www.cornerstorejazz.com. I manage the web site and shipping and handling and Phil handles most of the production, editing, and promotion. The digital revolution has completely transformed the music world, obviously, and I think it’s been very positive. As with any paradigm shift, there are pros and cons. On the plus side is the nearly complete elimination of barriers to getting one’s music out into the world. It used to require significant money and the commitment of a record label, who in turn expected to get a return on their investment. Artists can now be in complete control of the entire process for relatively little cost. A downside is that since nearly anyone can do it, there is a flood of music, so some form of curation is required to narrow down the sheer volume of work that one can possibly have time to hear. Another drawback in my opinion is that with the advent of MP3s and file sharing, individual songs are often stripped of their album context. A stand-alone song is fine, and there are even new listening experiences possible by grouping disparate pieces together. But there is also value in hearing the song in the context of its album. When we put together a CD, we are trying to create a contiguous listening experience, where the whole is as important as the individual pieces. There’s also the tactile experience of having the album or CD in your hand, seeing the artwork and photos, reading the liner notes and so forth. All of that is a cherished part of the listening experience for me and I hope for our listeners as well. Few would have imagined that LPs would make a comeback and I think its great. Who knows how it’s all going to play out? Our approach at CSJ is “both and”. We offer CDs. LPs, digital downloads, and free streaming at our sites cornerstorejazz.com, jimyanda.com, and philhaynes.com. There hasn’t been a lot of money in it so far. Our primary aim is to document our work and make our music easily available to anyone who’s interested. mwe3: You recorded your 2017 CD set, Home Road in 2014. Why was there a wait till the album came out on CD and why did you decide to release Home Road as a double CD set? Are there two sides to your musical approach and did your other album Regional Cookin’ come out the same time as Home Road? I read in the Regional Cookin’ CD liner notes that you held back releasing your music early on because you were apprehensive about recording? So what else have you been doing for the past 30 years and why did it take so long to come out with the albums? Jim Yanda: Sometimes after recording an album, it can be a good thing to put it away for a while and come back to it later with fresh ears and I did that with Home Road. Distance helps your objectivity. Also, to be honest, Home Road required more editing than usual. We record all of our records live in the studio, direct-to-master, which I think is mandatory for jazz. No overdubbing. The spontaneity and interplay among the players is what it’s all about. You like to get complete takes if you can, but sometimes it’s a challenge. When complete takes are few, more editing is required. For those reasons, it took little longer for us get Home Road finished. We made Home Road a two-CD set because we had enough music, and more importantly, we believe, in most cases, two shorter disks provide a more satisfying listening experience than one long CD. Yes, it’s true that I am simultaneously releasing two CDs that were recorded almost thirty years apart, with the same band. In 1987, I was striving to incorporate classic jazz melodic language in my playing. I was listening to Coltrane, Miles, Bird, Wes Montgomery, and Pat Martino, and so on. It can take a long time and a lot of work to be able to play that language. I didn’t think Regional Cookin’ had enough of that. We shopped it around to a few labels, and didn’t get any takers, and I put it on the shelf. After a lot of years, I listened to it again and realized that while it may not be what I was aiming for at the time, it has all of the important things a good jazz record needs: It swings, the players are interacting, reaching, and stretching. It has a great sound and feel. There are some very nice compositions and arrangements on it. In a lot of ways, Regional Cookin’, my first record, is the best I’ve done. I realized it should be heard. So it happens that I have these two records, done many years apart, coming out at the same time. Its very gratifying, and I suppose a bit unusual. Through all those intervening years, I’ve continued to practice, perform, and record. Its funny but I’m still working to incorporate more of that core jazz language into my playing. Mastering jazz is a never-ending process. mwe3: You recorded Home Road as well as your other recent CD release Regional Cookin’ with Drew Gress on bass and Phil Haynes on drums. What is the sonic chemistry like with those two players and can you recall how and when you met them? You also have some other recent projects ongoing with Phil and Drew as well. 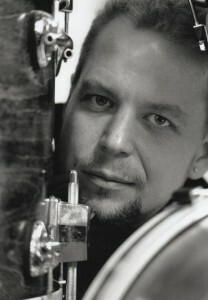 Jim Yanda: Phil and Drew are great musicians and have been a premiere jazz rhythm team for many years. Miles Davis said that to choose a bassist, just ask your drummer who they want to play with. Phil heard Drew in New York in the mid 1980’s and knew immediately he wanted to work with him. Drew has a very advanced harmonic and rhythmic vocabulary and is one of the few players who can feed your music back to you in new colors and flavors on the fly. Together these two artists explore the elasticity of time around a pulse. They create tension and release by playing on top of or behind the beat. It takes a lot of mastery, confidence, and trust to be able to do that and keep a solid tempo. There’s a vibrancy to their music. Anything can happen at any time. And they are great people and dear friends to whom I am grateful to work with. I play in Phil Haynes’ Americana Jazz-Grass band Free Country (www.freecountryjazz.org). And we have a Hammond B3 organ trio, The Hammond Brothers (www.hammondbrothersjazz.com). mwe3: The first track on disc one of Home Road is “My Ship”, a song written by Kurt Weill, which Ira Gershwin wrote lyrics for. Where and when did you first hear that song and what brought about the cover? What kind of influence did Kurt Weill have on your music and why do you think Weill influenced so many rock musicians like Bowie and The Doors as well? Were there covers on Regional Cookin’ too and what other song classics seem ripe to your for future projects? 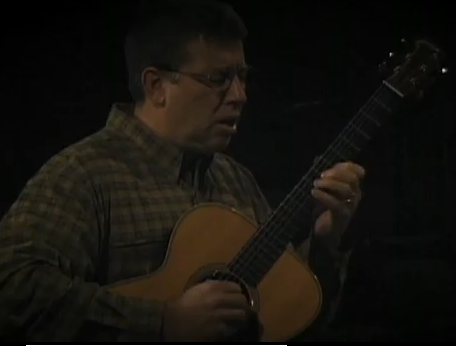 Jim Yanda: I first saw “My Ship” as a Jazz standard in the Real Book fake book. There’s a Miles Davis version with Gil Evans on the Miles Ahead record, among many other versions as you’ve pointed out. I first played it as a solo at a friend’s wedding and am still working on it. It’s a beautiful, poignant song that can be interpreted in myriad ways. A number of Kurt Weill’s songs have become jazz standards which is proof they are good vehicles for improvisation. His songs are challenging and unique and different in a subtle, slightly quirky way. His music has a character all its own. On Regional Cookin’ I played Thelonious Monk’s “Round Midnight”, a staple of the jazz tradition. Lately I’ve been working on standards from earlier periods of jazz that you don’t hear played as often, such as “After You’ve Gone” that Coleman Hawkins recorded in the thirties. I’m trying to expand the historical scope of the material I play, by reaching both earlier and later in jazz history: Rags, and Louis Armstrong, for example, and the Art Ensemble Of Chicago and Anthony Braxton. Paul Smoker’s Trio in its early days would play music from the earliest beginnings of jazz, field hollers and so forth, all the way up to modern day composers such as Lester Bowie. That wider historical scope makes everything sound so fresh and makes for a deeper listening experience. mwe3: Can you tell us what guitars you played on Home Road, as well as amps and other effects, pedals you recorded the album with? How has your choice of guitars changed over the years? How about your guitars used during the recording of the Regional Cookin’ album? What other guitars do you enjoy playing on record and for fun including jazz guitars, rock guitars, classical guitars, acoustics? What strings give your guitars the best sound? 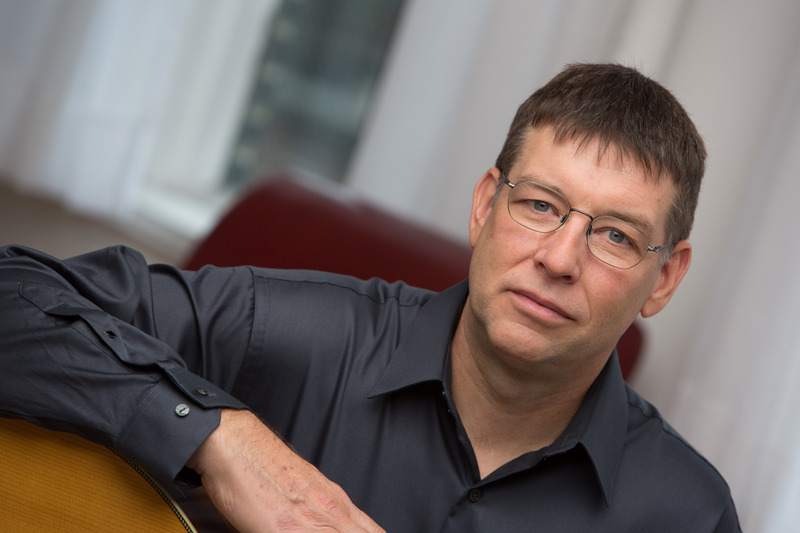 Jim Yanda: Perhaps the primary element in musical expression is tone. All of the great jazz musicians have a distinct tone on their instrument. You can often tell who is playing after hearing just a few notes. The electric guitar is interesting in that you not only have the sound of the instrument itself, but a myriad of possibilities to alter that sound through electronics. I love all of the incredible sounds you can achieve with guitar using effects. But I thought if, say, horn players and pianists achieve a distinctive sound through embouchure and touch alone, then maybe I could do so on guitar. I found that for every effect the guitar signal is run through, despite what is gained, something of the original guitar sound is lost. I stopped using effects, paring everything down to the bare minimum. I settled on a Collings OM3 acoustic guitar, with a Bartolini pickup plugged directly into a Fender Bassman head driving two Harry Kolbe speaker cabinets. I’m striving for as pure an acoustic guitar sound as possible, while amplifying it enough to be heard in a live band setting. Ironically, this opened up a host of available sounds within the instrument itself, using touch, attack, and extended techniques. Without electronics, numerous other possibilities became available. Its somewhat akin to Jim Hall famously saying that using an amplifier allowed him to play softer. Sometimes less really can be more! It is also a kick to be playing an acoustic guitar in a power trio setting which my bands tend to create sometimes. It seems like it should not be possible, but I’ve been able to make it work and it’s exhilarating. On Regional Cookin’ I used a 1958 Gibson L7C, which is a fabulous instrument. I also love the Stratocaster, and I keep a beater Strat copy around for fun. mwe3: How do you mix improvisation into your compositions? Describe the process by which you write music. For example, do you first write out your melodic lines and arrangements and then figure out the best way the song lends itself to improv? Is a song only great when you can extrapolate other ideas around it? Jim Yanda: We generally use the standard jazz format when playing my songs, which is to play the written melody, then different players each take an improvised solo over the song, then we play the written song again and end it. For some songs there’s an arrangement that mixes up that basic formula. But it is generally assumed that every song is going to be improvised upon. My songs usually come from noodling around on the guitar and stumbling upon an idea that sounds good. You have to be alert to catch the good ideas, and not let them get away! I keep an archive of recorded snippets. Then I take one of those ideas and try to flesh it out into a full piece. That’s often the most challenging part. One technique I use is to take a favorite jazz composition as a model, and try to write a song like it. An example of that is “Earth Way”, on Home Road, which closely resembles the Elvin Jones song “E.J. Blues”. It can be a good way to get the writing process going. Great songs don’t need any dressing. They are completely satisfying just as they are. Duke Ellington’s songs are an example. Someone called them “casually exact” and I think that’s an apt description. They’re perfect but feel natural and informal and kind of off-the-cuff. For the jazz improviser there’s perhaps a twofold response to a great song: You are drawn to improvise on the song because it sounds so irresistibly good, but you might also be a bit intimidated, because a great song is difficult to improve upon. Sometimes you wonder, “What more could possibly be said?” But jazz is about diving in and seeing where it takes you, so you take the chance. mwe3: What guitarists and composers had a big influence on your playing and overall appreciate of music and when did the rock influence give way to your appreciate of jazz? How would you compare the jazz-rock approach to the more straight ahead mainstream jazz sound of both Home Road and Regional Cookin’? Are there other styles of guitar performance and composition that interest you too? Jim Yanda: In my early days it was Chet Atkins, Roy Clark, The Beatles, The Rolling Stones, The Allman Brothers, and Tony Joe White. When I got to college I heard jazz and that profoundly changed everything for me. I was first gripped by the horn players, Charlie Parker, Miles Davis, John Coltrane. That led me to the guitarists Charlie Christian, Wes Montgomery, Pat Martino, Jim Hall, John Abercrombie, and Pat Metheny. I want everything I play to swing, regardless of the context or style of music. It’s wonderfully hip and exhilarating to swing over straight rhythms. I’m interested in deep-folk traditions, modern classical music, new music, early American music, and world music. Those are some of the sounds and styles I want to incorporate into my playing. mwe3: What other plans do you have in store for 2017 and beyond as it pertains to writing, recording, producing and performing your music? Now that you have both Home Road and Regional Cookin’ out on CD, have you given thought as to your next musical moves? Yanda is finally ready to let the cat out of the bag – in a big way. 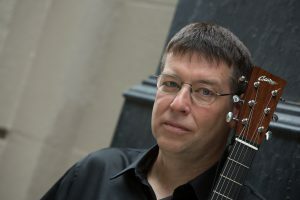 The guitarist and composer is set to release two albums featuring three CDs’ worth of music spanning the trio’s long history. Regional Cookin’ dates from the band’s earliest days, recorded in 1987 but never before released, while Home Road fills two discs with newly-recorded material illustrating the trio’s evolution. Both will be released on March 24 through Haynes and Yanda’s Corner Store Jazz label.